Federal prosecutors in Boston have signaled that some of the adult children of parents charged in an ongoing college cheating scandal could also face criminal charges. Prosecutors have sent target letters to adult children who were believed to have known about the scheme and who were at least 18 years old when it was conceived, according to a source familiar with the letters who spoke to ABC News on the condition of anonymity. The existence of the target letters was first reported by Law360. It's unclear who received a letter or how many were sent. 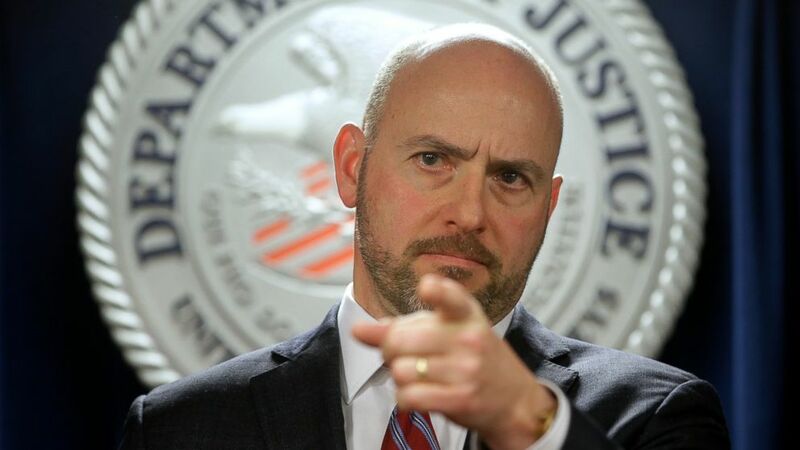 U.S. Attorney for District of Massachusetts Andrew Lelling said in announcing the charges against parents last month that it was unclear how much the children were aware, if at all, of the cheating schemes. Target letters typically inform a subject they are part of an investigation and encourage cooperation. By themselves the letters do not necessarily indicate the recipients will be charged. The scandal was exposed on March 12 when Lelling announced charges against over 50 people, including many notable CEOs and actresses Lori Loughlin and Felicity Huffman. William Singer, who ran a college counseling service called Key Worldwide Foundation, pleaded guilty to helping students get into their chosen colleges either by cheating on the SATs or ACTs or by falsely claiming some of the applicants were student-athletes. Singer accepted $25 million in bribes to carry out the cheating schemes, according to the indictment. The Oscar-nominated actress Huffman was among those to plead guilty this week in the scandal. She was charged with conspiracy to commit mail fraud and honest services mail fraud and faces a maximum of 20 years in prison. "I am pleading guilty to the charges brought against me by the United States Attorney's Office," Huffman said in her statement. "I am in full acceptance of my guilt, and with deep regret and shame over what I have done, I accept full responsibility for my actions and will accept the consequences that stem from those actions." Loughlin, and her fashion designer husband Mossimo Giannulli, have yet to make a plea over the accusations that they paid $500,000 in bribes to get their two daughters designated as crew athletes despite never competing in the sport. In the most recent development in the case, Mark Riddell pleaded guilty in Boston federal court on Friday to charges that he took SAT and ACT tests in place of students at the behest of Singer.